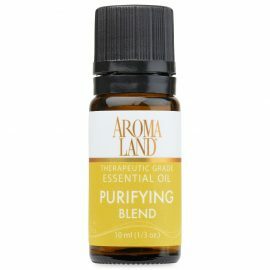 Purifying Essential Oil Blend, 1/3 oz. You can enjoy the scent of Purifying Essential Oil Blend, 1/3 oz. has Essential Oils of Eucalyptus Globulus, Bergamot, Red Grapefruit, Cinnamon, and Thyme. Relaxing Essential Oil Blend, 1/3 oz. You can enjoy the scent of Relaxing Essential Oil Blend, 1/3 oz. has Essential Oils of Cedarwood, Sweet Orange, and Ylang Ylang. Revitalizing Essential Oil Blend, 1/3 oz. You can enjoy the scent of Revitalizing Essential Oil Blend, 1/3 oz. includes Essential Oils of Rosemary, Lemongrass, Orange, Ginger Root, Red Grapefruit, Mandarin Orange and Cinnamon Leaf.